Mike Fleming is a highly experienced patent lawyer and a former chief administrative patent judge for the Patent Trial and Appeal Board (PTAB) of the U.S. Patent and Trademark Office (USPTO). He provides strategic advice and counsel to clients in complex patent disputes and represents parties in proceedings before the PTAB. Recognized by the National Law Journal as an “Intellectual Property Trailblazer,” Mike brings a wealth of knowledge and insight to his practice. He spent more than 30 years with the USPTO, including six years as chief administrative patent judge, four years as a supervisory patent examiner, and 17 years as an administrative patent judge. During his tenure as chief judge, Mike was instrumental in drafting the post-grant provisions of the America Invents Act (AIA), enacted by Congress in 2011, which established many of the current patent procedures and policies of the USPTO. The Department of Commerce awarded Mike its prestigious Gold Medal for his work on the official examination guidelines for subject matter eligibility, which are critical to prosecuting high-tech patents. As a former PTAB judge, Mike knows firsthand what jurists are looking for when they are hearing a patent case. In addition, as one of the key authors of the AIA, he has a deep understanding of the fundamental purpose and philosophy of the post-grant proceedings created by the law. This gives him a rare perspective on how to craft arguments that are going to be compelling to judges. Mike is also fastidious about gathering all of the appropriate facts needed to win a case. Moreover, because PTAB trials are typically linked to litigation in federal court, he works closely with the intellectual property litigation team to ensure that his PTAB strategy is aligned with the overall litigation strategy. 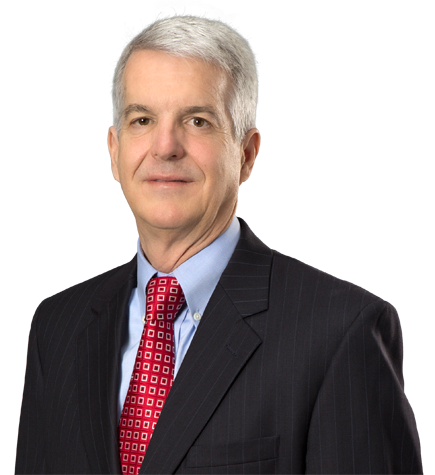 At Irell & Manella LLP, Mike regularly serves as lead counsel in inter partes review (IPR) trials and interferences before the PTAB. He has represented businesses and universities in proceedings involving patents in a wide range of industries, including the pharmaceutical, medical device, electrical, software, mechanical, chemistry, and high technology sectors, among others. In addition to his distinguished history at the USPTO, Mike’s work at Irell is informed by his educational background in engineering and early work experience as an electrical engineer in computer architecture, which enables him to quickly grasp the technical details of his clients’ business and learn new technologies. The USPTO National Report for Trilateral Harmonization Project 12.5 – Patentability of Computer-Related Inventions, October 20, 1988. USPTO reclassification of the computer technology art held in only two subclasses in Class 364 containing over 10,000 U.S. Patents into searchable and useful classification scheme. Examination Guidelines for Computer-Related Inventions, March 1996. Examiner Training Materials for implementing the Examiner Guidelines for Computer-Related Inventions, March 1996. Interim Guidance for Determining Subject Matter Eligibility for Process Claims in view of Bilski v. Kappos, June 2010. Supplementary Examination Guidelines for Determining Compliance with 25 U.S.C. 112 and for Treatment of Related Issues in Patent Applications, December 2010. Rules of Practice Before the Board of Appeals and Interference in Ex Parte Appeals, December 2010. Patent Appeal & Trial Board Standard Operating Procedure 1 (Revision 13) Assignment of judges to merits panels, motion panels, and expanded panels, February 12, 2009. Patent Appeal & Trial Board Standard Operating Procedure 2 (Revision 7) Publication of Opinions and Binding Precedent, March 23, 2008. Ex parte Moncla, Appeal 2009-006448 (BPAI June 22, 2010) – Provisional non-statutory double patenting. Ex parte Quist, Appeal 2008-001183 (BPAI June 2, 2010) – Standard of review of appellant’s rebuttal evidence. Ex parte Frye, Appeal 2009-006013 (BPAI February 26, 2010) – Standard of review for examiner error based upon issues identified. Ex parte Tanaka, Appeal 2009-000234 (BPAI December 9, 2009) – Requirement of reissue error under 35 U.S.C. § 251. Ex parte Gutta, Appeal 2008-4366 (BPAI August 10, 2009) – Patent-eligible subject matter under 35 U.S.C. § 101. Ex parte Rodriguez, Appeal 2008-000693 (BPAI October 1, 2009) – Means plus function 35 U.S.C. § 112, sixth paragraph, elements in a claim must have corresponding structure described in the specification to meet the requirements of 35 U.S.C. § 112, second paragraph, and if where 35 U.S.C. § 112, sixth paragraph, do not apply to the function elements, then the elements do not meet the scope of enablement requirement of 35 U.S.C. § 112, first paragraph. Ex parte Catlin, Appeal 2007-3072 (BPAI February 3, 2009) – Requirements of sufficient definite claim scope under 35 U.S.C. § 112, second paragraph. Ex parte Jella, Appeal 2008-1619 (BPAI November 3, 2008) – Obviousness in view of KSR Int’l Co. v Teleflex Inc., 127 S. Ct. 1727 (2007). Ex parte Miyazaki, Appeal 2007-3300 (BPAI November 19, 2008) – Standard of review for indefiniteness at the USPTO under 35 U.S.C. § 112, second paragraph, is not insolvable ambiguous, but sufficient definiteness to give notice to the public. Ex parte Yamaguchi, Appeal 2007-4412 (BPAI August 29, 2008) – Qualification of prior art. Ex parte Whalen II, Appeal 2007-4423 (BPAI July 23, 2008) – Obviousness in view of KSR Int’l Co. v Teleflex Inc., 127 S. Ct. 1727 (2007). Ex parte Ghuman, Appeal 2008-1175 (BPAI May 1, 2008) – Jurisdiction. Ex parte Fu, Appeal 2008-0601 (BPAI March 31, 2008) – Obviousness of a species in a genus. Ex parte Letts, Appeal 2007-1392 (BPAI January 31, 2008) – Conditional cancellation of a claim on appeal. Ex parte Nehls, Appeal 2007-1823 (BPAI January 28, 2008) – Utility under 35 U.S.C. § 101 and 35 U.S.C. § 112, first paragraph, for sense or antisense sequence numbers for gene expression. Ex parte Catan, Appeal 2007-0820 (BPAI July 3, 2007) – Obviousness in view of KSR Int’l Co. v Teleflex Inc., 127 S. Ct. 1727 (2007). Ex parte Kubin, Appeal 2007-0819 (BPAI May 31, 2007) – Obviousness and written description requirements for nucleic acid sequence. Ex parte Eggert, Appeal 2001-0790 (BPAI May 29, 2003) – Recapture under 35 U.S.C. § 251.